Thank you for writing this! I have to admit that I have also been down that trail for a long time now. It hasn’t been easy. I first started writing at 12, and I dreamt of being a bestselling author. All that has been tested by the painful moments of rejection and failure. Finally, I got the point! Writing a book is a narrow road. Without a passion for what you do, you can’t move on. Hi Sam and welcome to the Story Catcher Publishing blog! 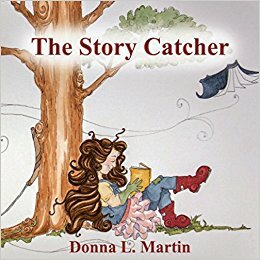 I started writing my own stories and poetry around age 6, started winning local writing contests by age 11, became discouraged in my twenties and set down my pen for about 20 years (but the dreams never died), took to writing again in my 40’s, began writing professionally at 49 and now I’m a published children’s author, international best seller of inspirational journals, and editor/publisher of my own publishing house.